Once again the S&P 500 index approached the precipice at 1040 and for now at least has backed away and found a little breathing room. With anxiety running high, investors have embraced the flight-to-safety trade once again. 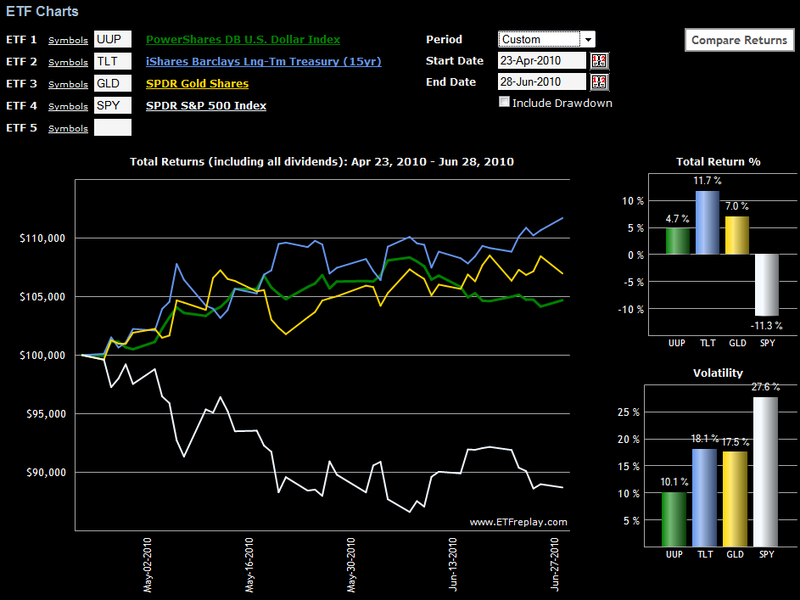 The current preference is for U.S. Treasuries, the dollar (UUP), and to a lesser extent, gold (GLD). While the most conservative plays are necessarily on the short end of the U.S. Treasury yield curve (represented by ETFs such as SHV and BIL), note that in the chart below I have included the long bond ETF (TLT) to provide a higher volatility bond for comparison purposes. The trend is fairly well established at this stage. Of the flight-to-safety vehicles, U.S. Treasuries are attracting the most interest (perhaps due to deflationary concerns), followed by gold, with the dollar the least enticing alternative, today’s 0.8% rally notwithstanding. Not shown in the chart below is VXX (iPath S&P 500 VIX Short-Term Futures ETN), which is more of a speculative bear market play or a hedge than a flight-to-safety alternative. 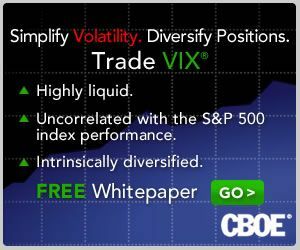 During the period from the April 23rd high through yesterday (June 28th) VXX is up 53.4%, with a volatility level of 94.5.